WINTER IS COMING… Hard to believe that it’s that time of the year again, but at SPROUT we’re ready to kick off the holiday season with bang. So break out those nasty ol’ holiday sweaters a little early and head over to our 3rd annual Holiday bash. It’s been a big year for us, with our new brand and website launches, Pawscout’s official launch, and our second year in the downtown Boston office. Come by for some frothy beverages, tasty snacks, and all the holiday cheer you can handle. We will also be giving away some killer SPROUT designed products and newly designed SPROUT swag to a few lucky guests. There is no street parking nearby, but many parking lots are just steps away. 45 Province is the closest, as well as the lot under Boston Common. If possible, I would advise taking a cab, Uber, or the T. We are just a few blocks from the Park Street, Downtown Crossing, and State Street stops. There should be a doorman / elevator driver to let you in, but if they’re not there just hit 507# to get buzzed in. 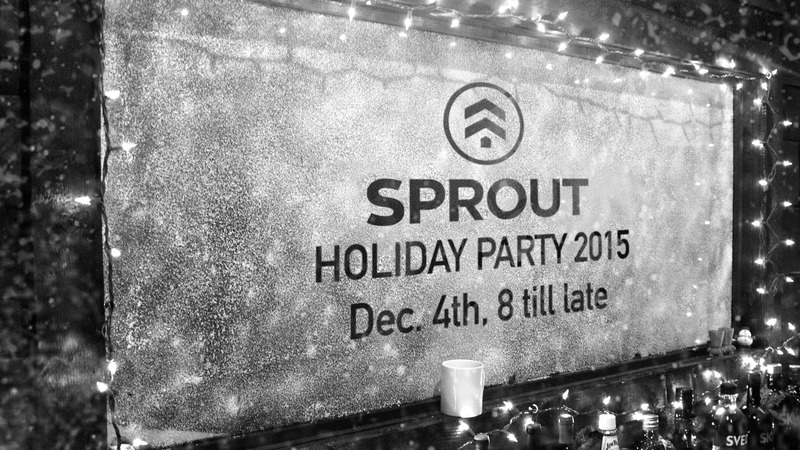 If you’re going to stop by, please drop us a quick note at rsvp@sprout.cc. Thanks! P.S. If you will be drinking, please plan your transportation home accordingly.